Shoot growth is very sensitive to plant water stress (drought). In contrast, root growth is usually less inhibited than shoot growth, or even promoted, in plants growing in drying soil, which helps to maintain adequate water uptake. The mechanisms that determine the different sensitivities of root and shoot growth to water stress are the focus of my lab's research. An understanding of how plants respond and adapt to water stress will facilitate opportunities for plant breeders and biotechnologists to improve crop performance in drought-prone environments. Our previous work on maize primary root adaptation to water deficit showed that cell elongation is maintained in the apical region of the growth zone but progressively inhibited further from the apex. In association with these growth responses, cell wall extensibility is enhanced in the apical region but decreased in the basal region. Cell wall proteomic analyses were conducted to identify proteins important for wall extensibility and elongation. The results revealed predominantly region-specific changes in protein profiles between well-watered and water-stressed roots. Several proteins related to ROS generation showed an increased abundance in the apical region of stressed roots, prominent among them being putative oxalate oxidases. 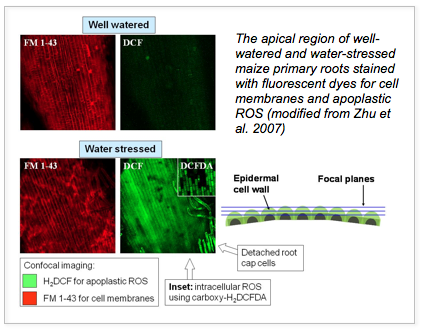 An increase in apoplastic ROS in the apical region of WS roots was confirmed by in situ imaging. Apoplastic ROS may have wall loosening or tightening effects which could be region specific. We are currently studying transgenic maize lines constitutively expressing a wheat oxalate oxidase (Ramputh et al. 2002, Plant Sci. 162: 431-440) to test if enhanced apoplastic ROS affects root elongation. My lab is also characterizing the physiological basis of improved drought tolerance in specific transgenic maize lines supplied by Monsanto, with a focus on root system biology. Although hormones are likely to play important regulatory roles in growth responses to water stress, their involvement is not well understood. Emphasis in the literature has been on abscisic acid (ABA) because it accumulates in plants under water-limited conditions, and because it usually inhibits growth when applied to well-watered plants. Based on these findings, a commonly proposed function of increased ABA concentrations in water-stressed plants is growth inhibition. However, we have utilized ABA-deficient mutants of maize, tomato and Arabidopsis, and inhibitors of ABA synthesis, to manipulate endogenous ABA levels, and the findings are changing the view of the role of ABA in growth regulation. 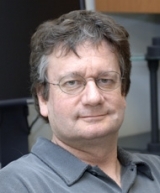 In particular, results indicate that ABA accumulation prevents excess production of both the gaseous hormone ethylene and of reactive oxygen species (ROS), and that as a result of these interactions ABA may often function to maintain rather than inhibit shoot and root growth under both well-watered and water-stressed conditions. We are also interested in promotion of lateral rooting under water deficits, which is an important adaptive response to drought but has been little studied. We have identified substantial genetic diversity in this response in soybean, and similar studies of maize are in progress. A longer-term objective is to "scale up" from fundamental discoveries of root growth regulation under water stress in controlled environments to address the complexity of root development under drought conditions in the field. Tackling this frontier will be a challenging but very important objective towards the goal of improving crop production under drought conditions. Leach KA, Hejlek LG, Hearne LB, Nguyen HT, Sharp RE, and Davis GL. Primary root elongation rate and abscisic acid levels of maize in response to water stress. Crop Science 2011;51(1):157-172. Yamaguchi M and Sharp RE. Complexity and coordination of root growth at low water potentials: Recent advances from transcriptomic and proteomic analyses. Plant, Cell and Environment 2010;33(4):590-603. Baskin TI, Peret B, Baluska F, Benfey PN, Bennett M, Forde BG, Gilroy S, Helariutta Y, Hepler PK, Leyser O, Masson PH, Muday GK, Murphy AS, Poethig S, Rahman A, Roberts K, Scheres B, Sharp RE and Somerville C. Shootward and rootward: Peak terminology for plant polarity. Trends in Plant Science 2010;15(11):593-594. Spollen WG, Tao W, Valliyodan B, Chen K, Hejlek LG, Kim JJ, LeNoble ME, Zhu J, Bohnert HJ, Henderson D, Schachtman DP, Davis GE, Springer GK, Sharp RE and Nguyen HT. Spatial distribution of transcript changes in the maize primary root elongation zone at low water potential. BMC Plant Biology 2008;8: art no. 32. Ober ES, Sharp RE. 2007. Regulation of root growth responses to water deficit. In: MA Jenks, PM Hasegawa, and SM Jain (Eds. ), Advances in molecular breeding toward drought and salt tolerant crops (33-53), Dortrecht: Springer. Zhu J, Alvarez S, Marsh EL, LeNoble ME, Cho IJ, Sivaguru M, Chen S, Nguyen HT, Wu Y, Schachtman DP and Sharp RE. Cell wall proteome in the maize primary root elongation zone. II. Region-specific changes in water soluble and lightly ionically bound proteins under water deficit. Plant Physiology 2007;145(4):1533-1548. Poroyko V, Spollen WG, Hejlek LG, Hernandez AG, LeNoble ME, Davis G, Nguyen HT, Springer GK, Sharp RE and Bohnert HJ. Comparing regional transcript profiles from maize primary roots under well-watered and low water potential conditions. Journal of Experimental Botany 2007;58(2):279-289. Myers DB, Kitchen NR, Sudduth KA, Sharp RE and Miles RJ. Soybean root distribution related to claypan soil properties and apparent soil electrical conductivity. Crop Science 2007;47(4):1498-1509. Zhu J, Chen S, Alvarez S, Asirvatham VS, Schachtman DP, Wu Y and Sharp RE. Cell wall proteome in the maize primary root elongation zone. I. Extraction and identification of water-soluble and lightly ionically bound proteins. Plant Physiology 2006;140(1):311-325. Poroyko V, Hejlek LG, Spollen WG, Springer GK, Nguyen HT, Sharp RE and Bohnert HJ. The maize root transcriptome by serial analysis of gene expression. Plant Physiology 2005;138(3):1700-1710. Goodger JQD, Sharp RE, Marsh EL and Schachtman DP. Relationships between xylem sap constituents and leaf conductance of well-watered and water-stressed maize across three xylem sap sampling techniques. Journal of Experimental Botany 2005;56(419):2389-2400. Thompson AJ, Thorne ET, Burbidge A, Jackson AC, Sharp RE and Taylor IB. Complementation of notabilis, an abscisic acid-deficient mutant of tomato: Importance of sequence context and utility of partial complementation. Plant, Cell and Environment 2004;27(4):459-471. Ober ES and Sharp RE. Electrophysiological responses of maize roots to low water potentials: Relationship to growth and ABA accumulation. Journal of Experimental Botany 2003;54(383):813-824. Kim CY, Liu Y, Thorne ET, Yang H, Fukushige H, Gassmann W, Hildebrand D, Sharp RE and Zhang S. Activation of a stress-responsive mitogen-activated protein kinase cascade induces the biosynthesis of ethylene in plants. Plant Cell 2003;15(11):2707-2718. Sharp RE and Lenoble ME. 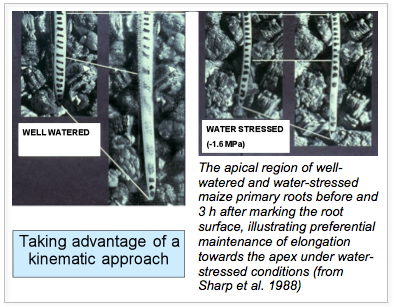 ABA, ethylene and the control of shoot and root growth under water stress. Journal of Experimental Botany 2002;53(366):33-37. Sharp RE. Interaction with ethylene: Changing views on the role of abscisic acid in root and shoot growth responses to water stress. Plant, Cell and Environment 2002;25(2):211-222. Wu Y, Thorne ET, Sharp RE and Cosgrove DJ. Modification of expansin transcript levels in the maize primary root at low water potentials. Plant Physiology 2001;126(4):1471-1479. Van der weele CM, Spollen WG, Sharp RE and Baskin TI. Growth of Arabidopsis thaliana seedlings under water deficit studied by control of water potential in nutrient-agar media. Journal of Experimental Botany 2000;51(350):1555-1562. Spollen WG, Lenoble ME, Samuels TD, Bernstein N and Sharp RE. Abscisic acid accumulation maintains maize primary root elongation at low water potentials by restricting ethylene production. Plant Physiology 2000;122(3):967-976. Sharp RE, LeNoble ME, Else MA, Thorne ET and Gherardi F. Endogenous ABA maintains shoot growth in tomato independently of effects on plant water balance: Evidence for an interaction with ethylene. Journal of Experimental Botany 2000;51(350):1575-1584. Naeem W. Missouri Technology Expo highlighted local technologies and research. Columbia Missourian (Oct 2010). Pennisi E. The blue revolution, drop by drop, gene by gene. Science 2008;320:171-173.